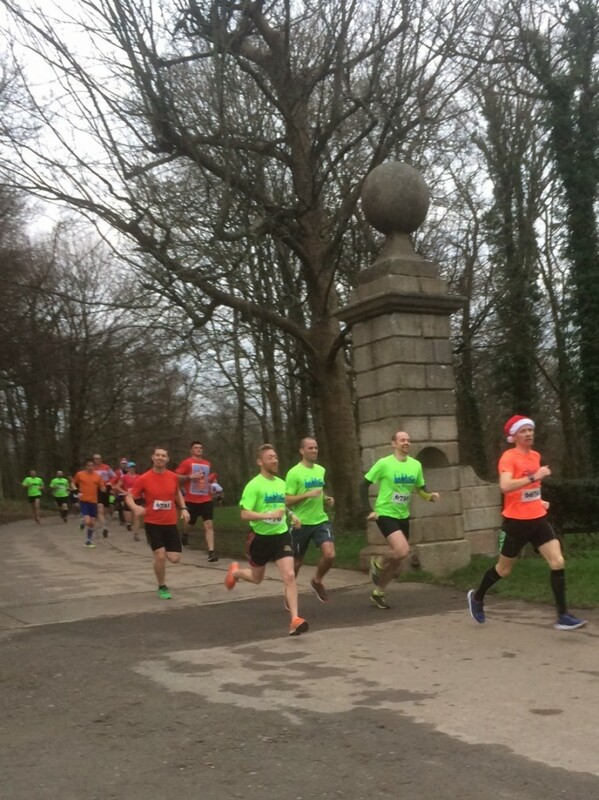 Last Sunday I ran the Trust10 at Saltram near Plymouth: one of a series of free, monthly 10k events at National Trust places, aimed at those wanting a ‘step up’ in distance from ParkRun. I treated it as a race, and it sort of is, but it’s much less formal. 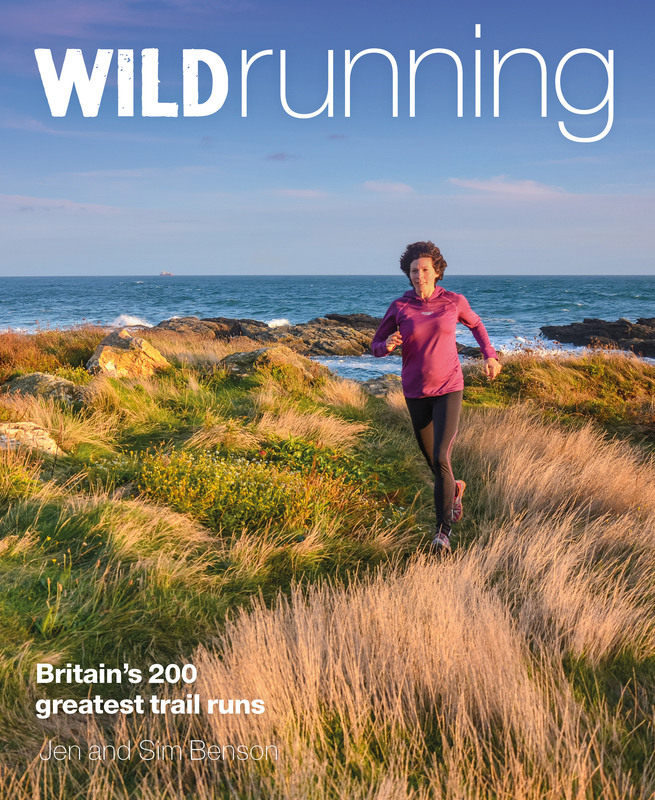 National Trust places make really great race venues: they are easy to find, have good parking, clean toilets, excellent cafés and if, like me, you make the race the start of a family day out, there’s always plenty to see and explore for everyone. 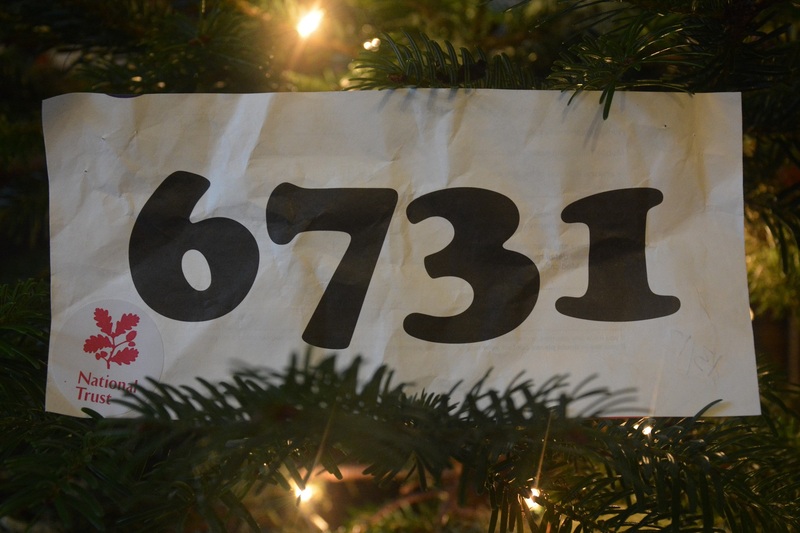 They’re great as a tester run to see where you’re at with your training, or as a first 10k – and if they get plenty of support they’ll become a permanent fixture. The race started a few minutes late after a chat with the marshals and other regular runners. 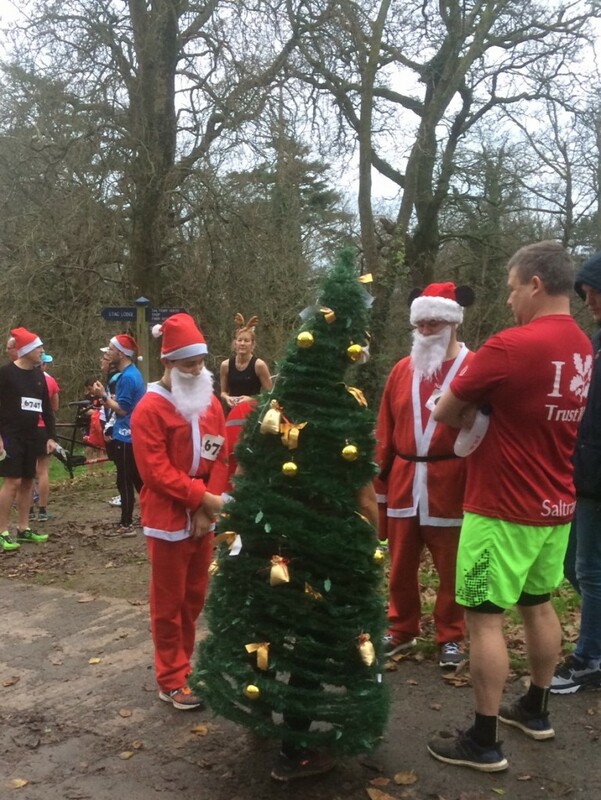 Being the last event before Christmas it was nice to see runners dressing up and getting into the festive spirit. Costumes ranged from santa hats all the way to an actual Christmas tree. 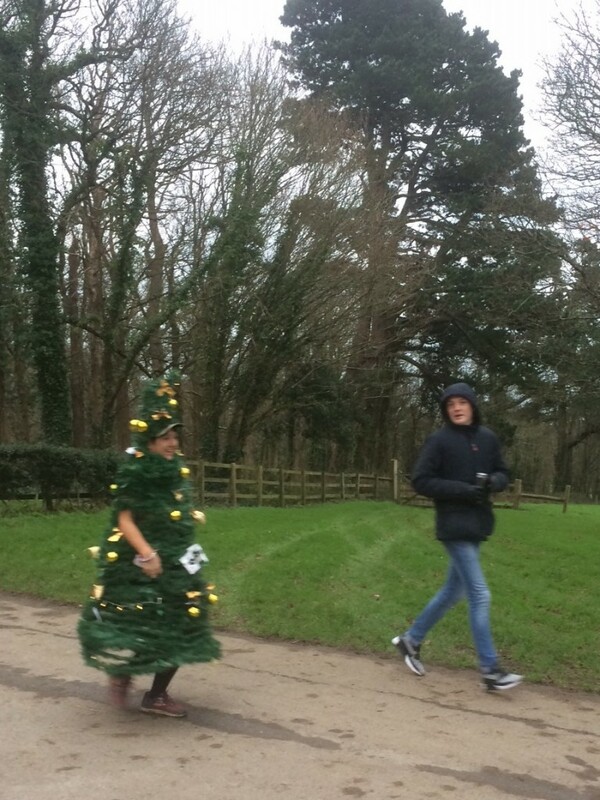 The runner wearing the tree was enthusiastic at the start but I think she was cursing after a couple of kilometers as she lumbered by, shedding baubles. An awesome effort though; I hope she won the spot prize for best dressed. The running was excellent: mostly on surfaced tracks around the estate, with a long downhill to the estuary and then all the way back up to the start again. It’s a fairly tough run, not a pb course and actually according to my Garmin not quite 10k, but close enough and it’s self timed anyway. I finished in just over 41 minutes and the winner, who is a good club runner, managed a little over 36 minutes. If you have the energy to look around the scenery is stunning: beautiful woodland and rolling parkland, as well as glimpses of a folly and Saltram House itself. If you don’t fancy the race or if you visit at a different time then the parkland offers plenty of scope for a hard training session with some great hills, or a gentle scenic run with some friends. Whatever you end up doing the café is worth a visit at the end – the ducks need feeding and the coffee’s good!